CapitolaQuilter: FAL Q1 2013 - here we go! FAL Q1 2013 - here we go! question:Why am I setting myself up when I know how lousy my track record was for 2012 FAL? answer: Optimism with a bit of indecision mixed in. I simply couldn't narrow down what projects I wanted to work on. 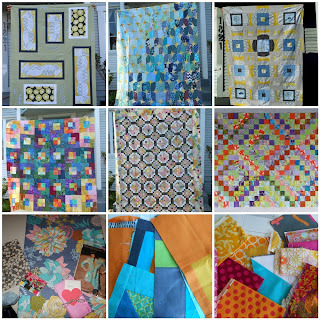 Reasonable or not...here's the line up: Madrona Road #2 aka: No inherent sense of Direction , Tassels Quilt, Madrona Road #1 aka: Driving in Circles, Luminosity, Sisterly Love, Scrappy Trip Along, Schoolhouse Tunic, QuiltCon Charity FMQ, Tote Bag. It may look like five are practically done - and they kind of are - but I hit a wall when I get to the sandwich stage. All the more reason to put them on the list wouldn't you agree? 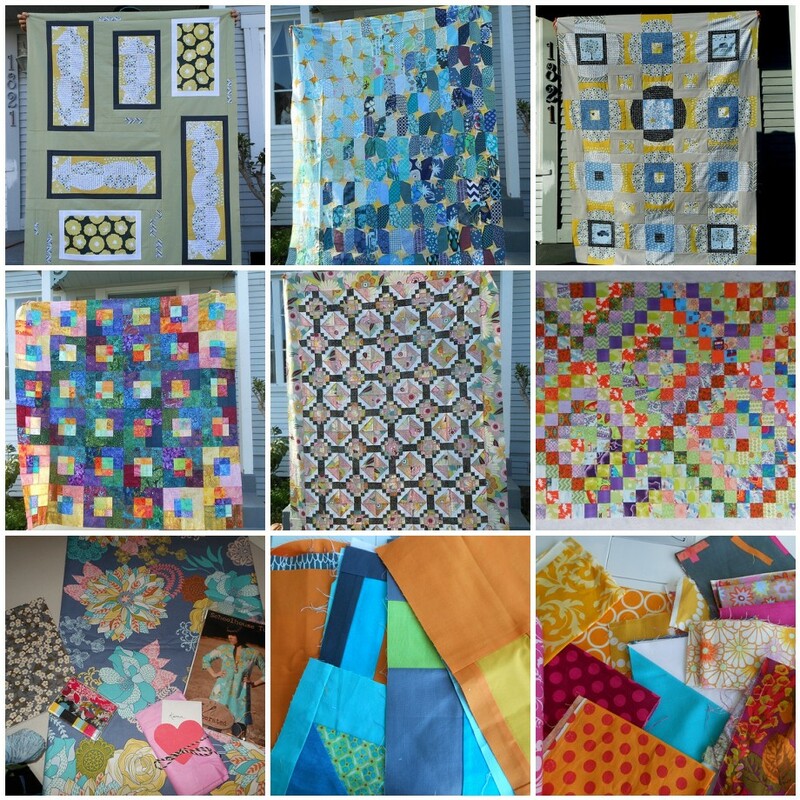 Hope you'll be linking up with Leanne at She Can Quilt for the 2013 Finish Along Quarter One and playing along. The flickr group has a great cheering section! Man, we should have a basting party. Find somewhere with LOTS OF ROOM to lay out the quilts, bring tons of pins and basting spray, and just get all our stuff basted at once. I hate basting, and our house is not big enough (or pet-free enough) for me to baste. I can definitely relate to the wall when it comes to basting. I have faith you'll be able to reach your goals in the coming quarter, though! And I'm sure you'll have plenty of supporters right there with you. Wow, these will each be so good when they are done. I will be cheering you on for sure! Glad you joined the FAL.